This calf tattoo was prepared for Marc and it symbolizes the protection that he will always grant to his family, represented by the turtle in the center, with the names of his sons inserted along the edge of the shell as maorigrams (Ben and Scott, each name with specific details for each son next to it). 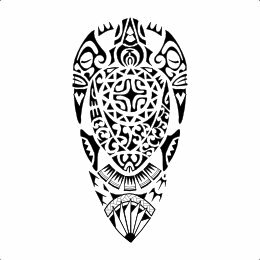 His wife´s name completes the shell below the central sun with a Marquesan cross inside it, symbolizing how family represents harmony and joy to Marc. 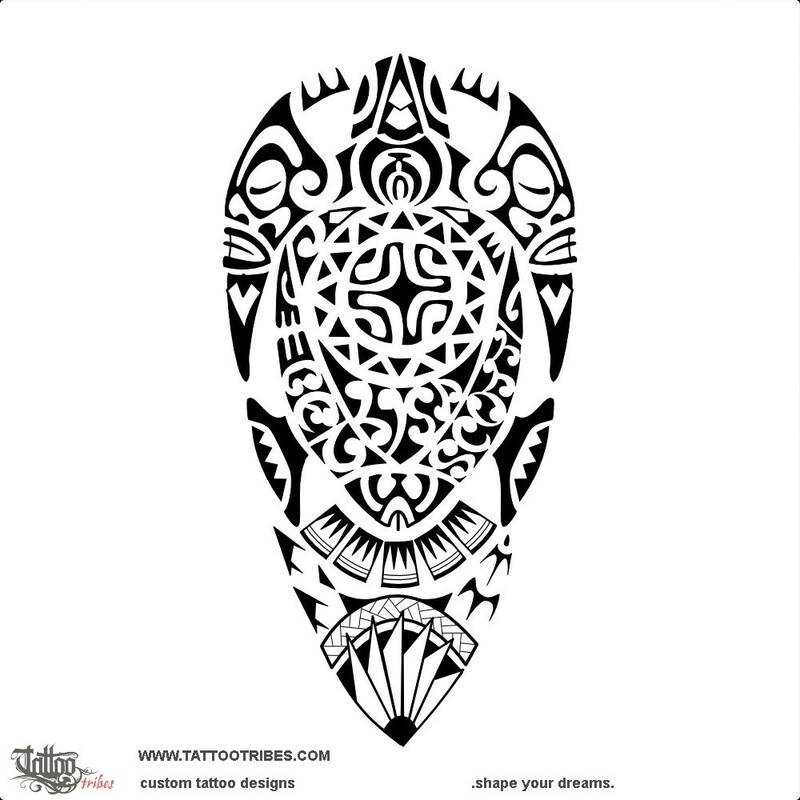 The turtle has two tiki on the front flippers to bring protection to family from all sides, while spearheads in the head and the enata on the lower end of the shell represent a warrior. Shark teeth are for adaptability, the braid is for family union, coconut leaves, fish and fish hook are for prosperity and the two chasing birds for support always granted to the loved ones.